Welcome to 517 Ridgewood Dr Daphne AL 36526 in Lake Forest. 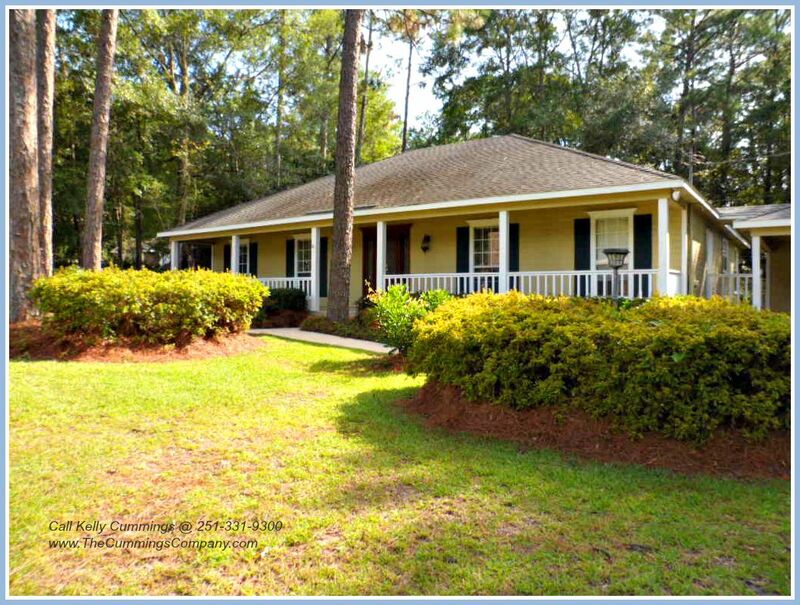 This is a beautifully landscaped property with soaring southern Pines, manicured azaleas, and nice lawn. 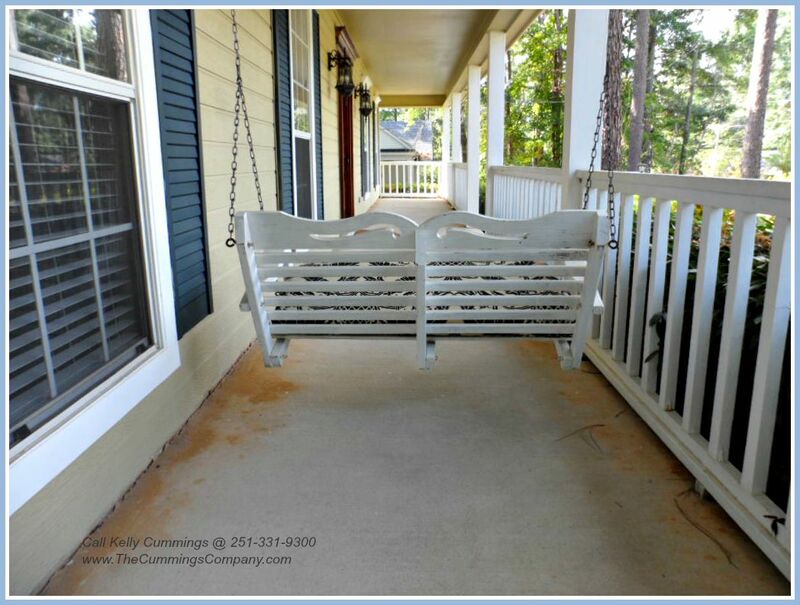 The large open front porch really adds to this homes curb appeal and charm. This home is made for entertaining. 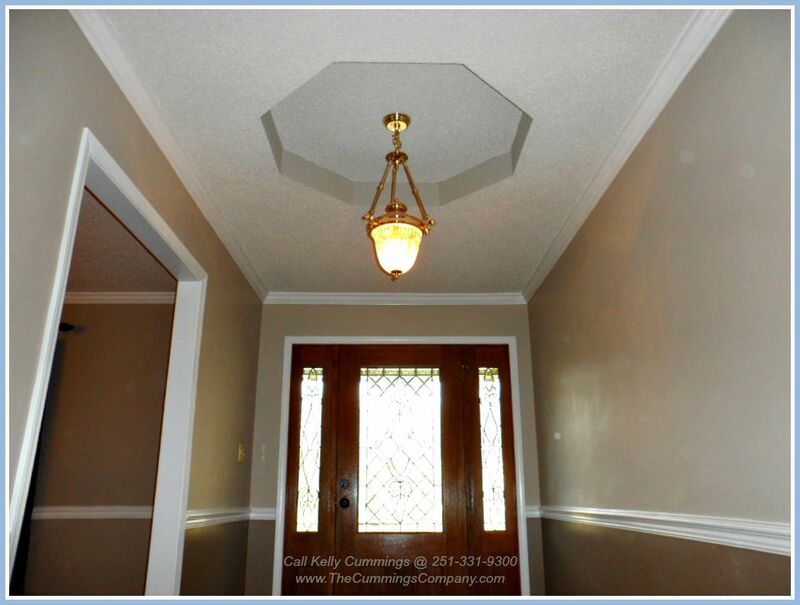 Invite guests over and watch their reaction as they enter as they enter into this one of a kind foyer that features split brick floors, octagon tray ceiling, and beautiful front door. Immediately off of the foyer is the dining room. 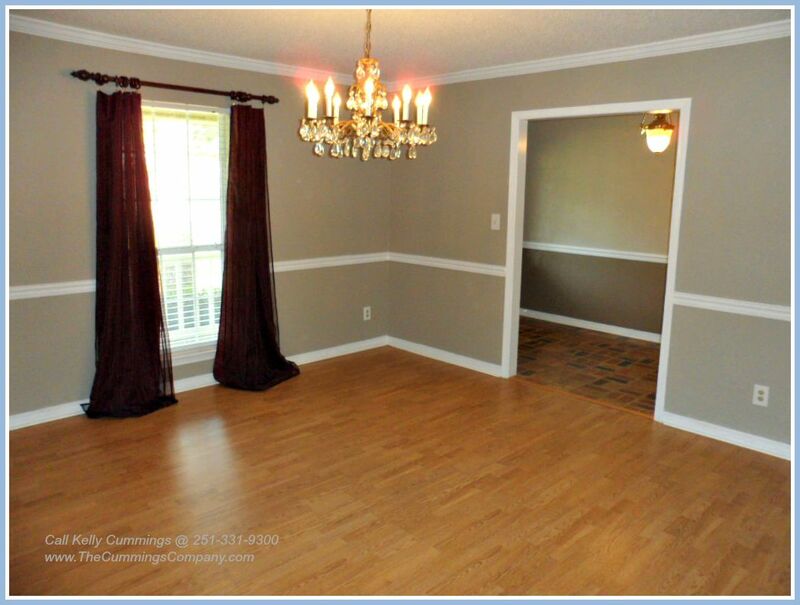 This room is naturally lit and has nice hardwood floors. 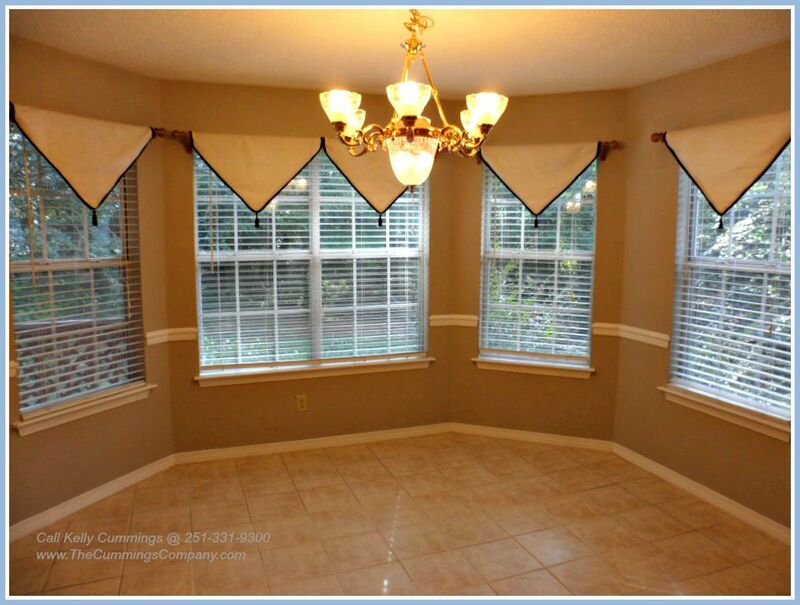 This room is large enough for a large dining room table perfect for Holiday family gatherings. 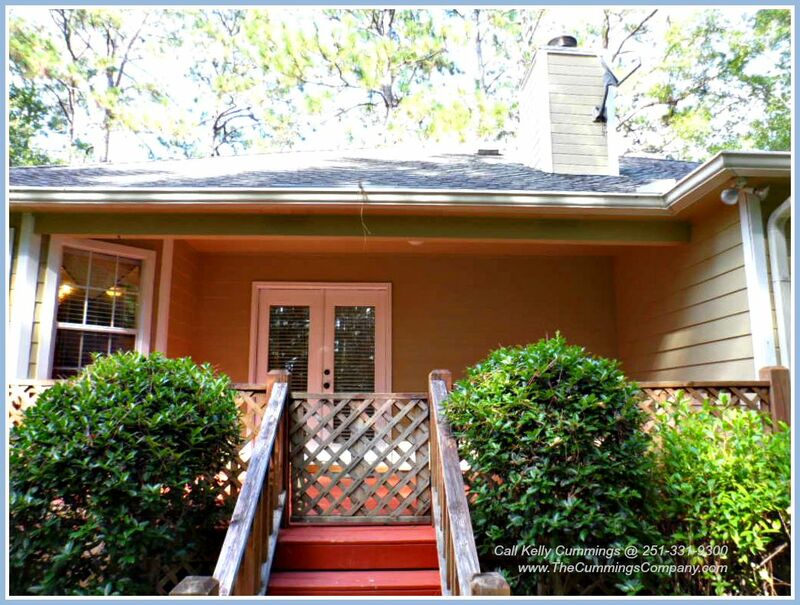 The second entrance of this 3 Bed 2 Bath Lake Forest home for sale is from the 2 car carport. This entrance is in between the laundry room and kitchen. 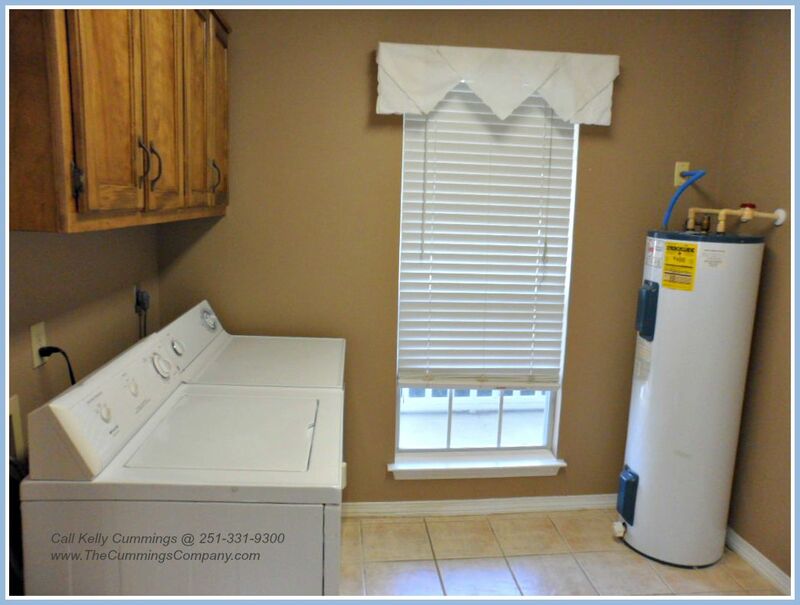 The laundry room is large with cabinets and a nice closet for extra storage space. Moving into the house brings us to the kitchen. The kitchen provides the cook lots of room to work and gets lots of natural light from the bay window in the breakfast room. 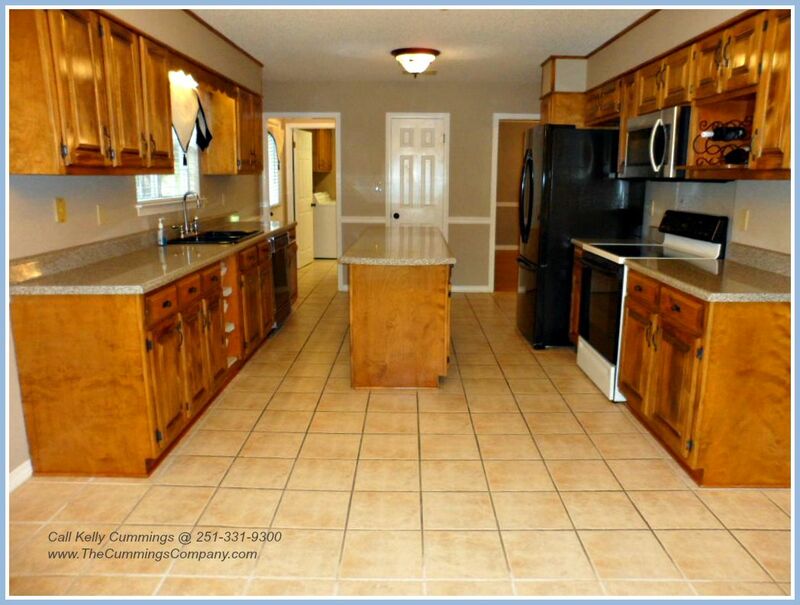 The kitchen in this Daphne AL home for sale has a great layout with a large island center, lots of beautiful wood cabinets, custom basket storage area, and nice pantry. Imagine cooking your family southern style breakfast in this kitchen and enjoying it while watching the sun rise through the bay window in the breakfast room. What a warm family place this would be. 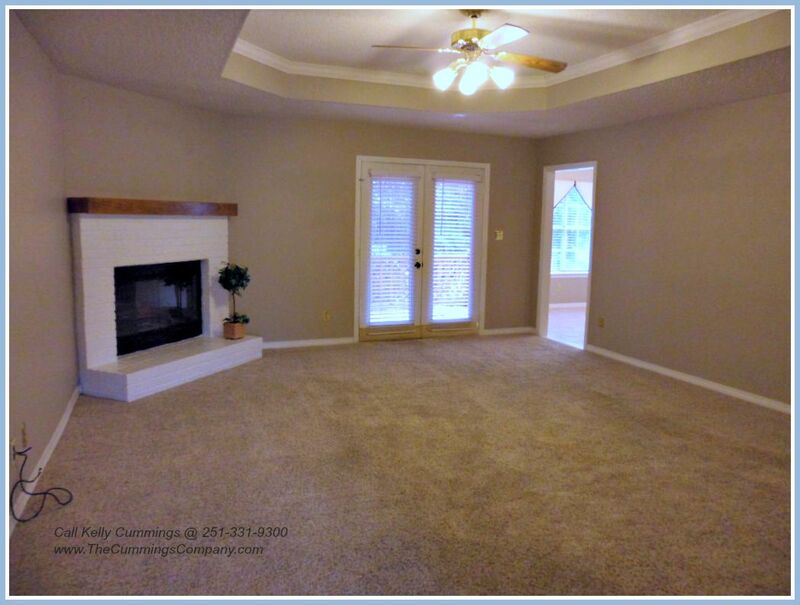 The center of the house is the large living room with wall to wall carpet, tray ceiling, and wood burning corner fireplace. This room also has a set of french doors that lead out to the covered deck and backyard. The left side of the house is where the 3 bedrooms and 2 bathrooms are located. 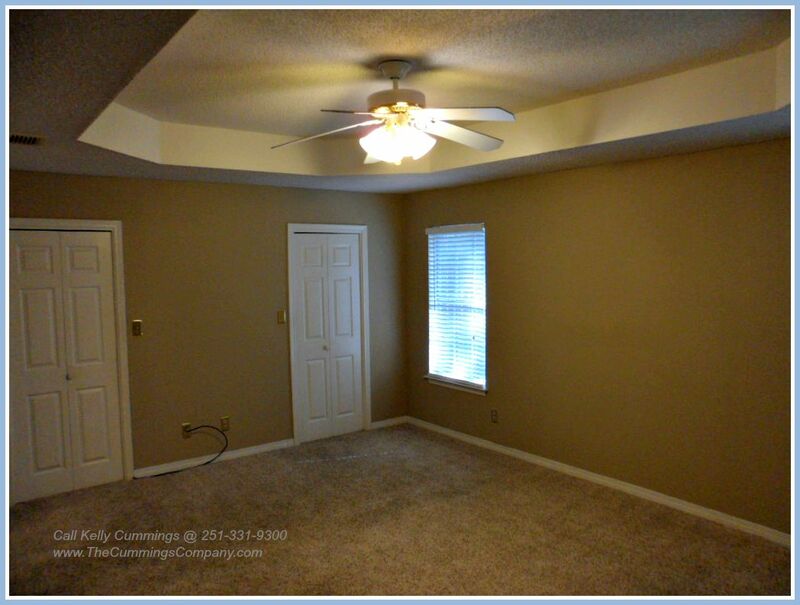 The 2 additional bedrooms are both similar in size, have wall to wall carpet, and ceiling fans. These two rooms both have large closets as well. 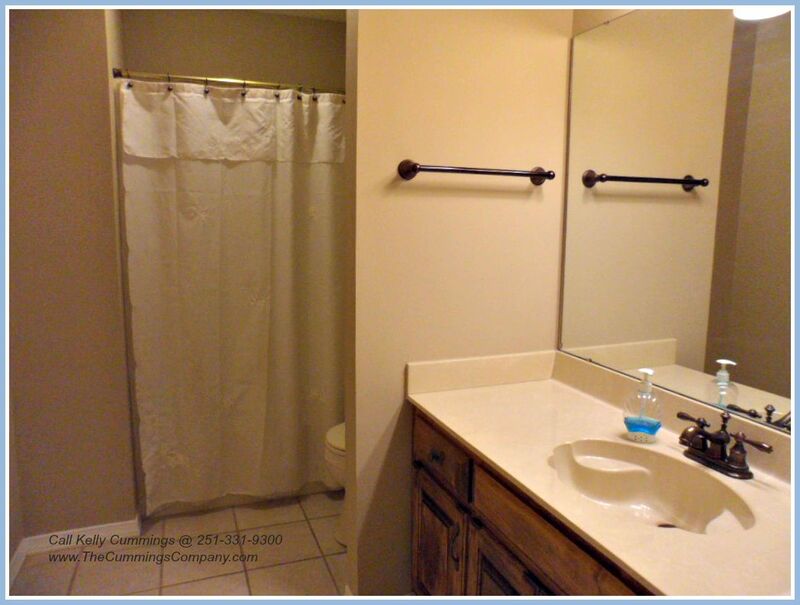 The second bathroom, that would services these two bedrooms, is very spacious with tile floors and a linen closet for extra storage. This Lake Forest home for sale has a true master suite with a tray ceiling, his and hers walk-in closets, ceiling fan, and wall to wall carpet. This bedroom is 19.8 x 13.10 and could easily fit a king sized bed. 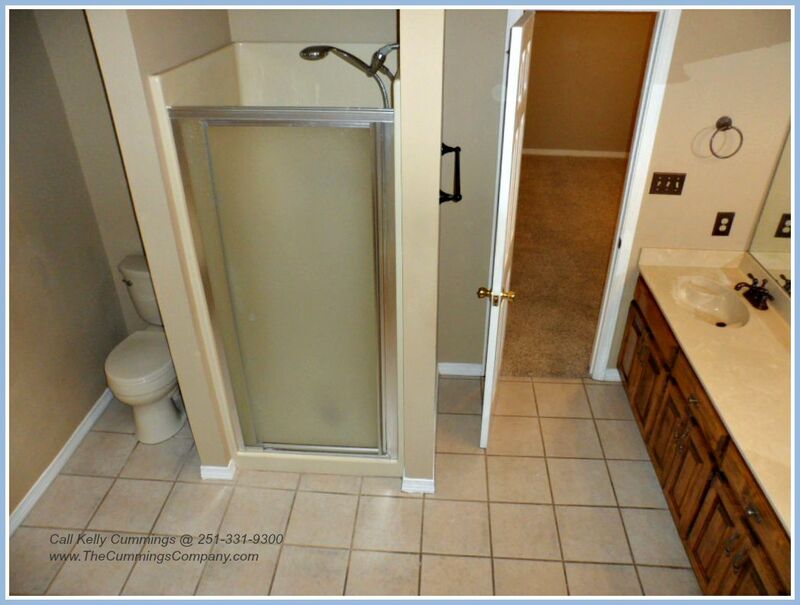 The master bathroom has a wonderful design. It features a garden tub, separate shower, large vanity with twin sinks, and plenty of cabinets for storage. This is a one of a kind Lake Forest home. Out back there is a fabulous covered deck so you can enjoy the beautiful outdoors while beating the heat. 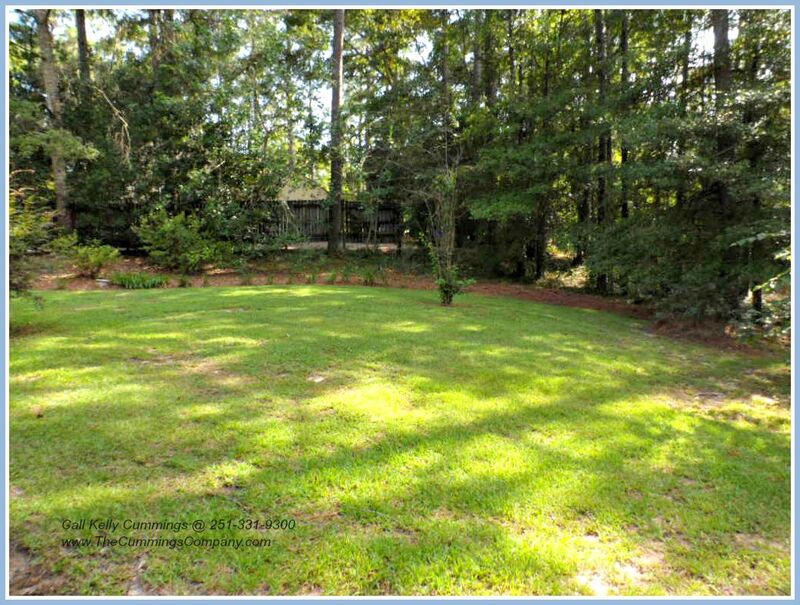 The backyard is well landscaped and has plenty of room for you, kids, or pets to play on. This property is not fenced but still provides its owner with plenty of privacy. The property backs up to the 7th tee box on Lake Forest Golf Course. 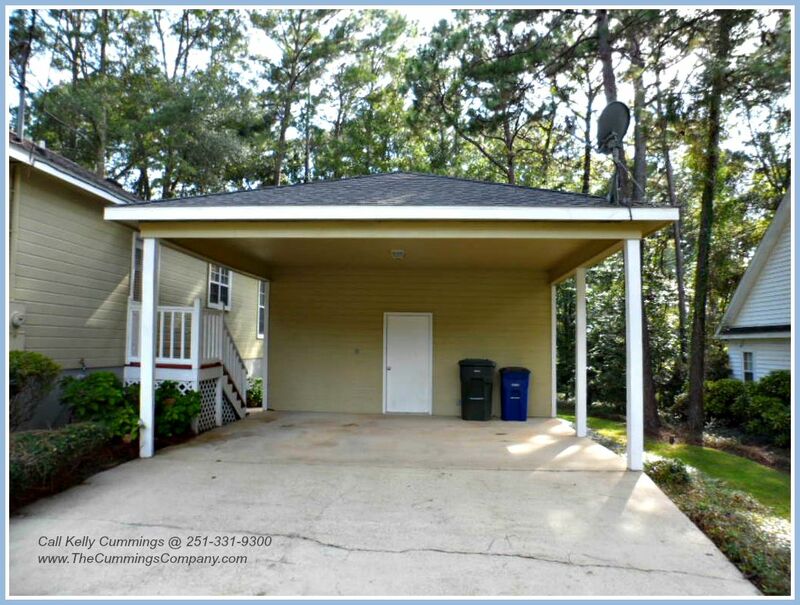 As mentioned previously this home has a nice 2 car carport with a storage room. The storage room is the perfect size to store all of your yard equipment and tools. 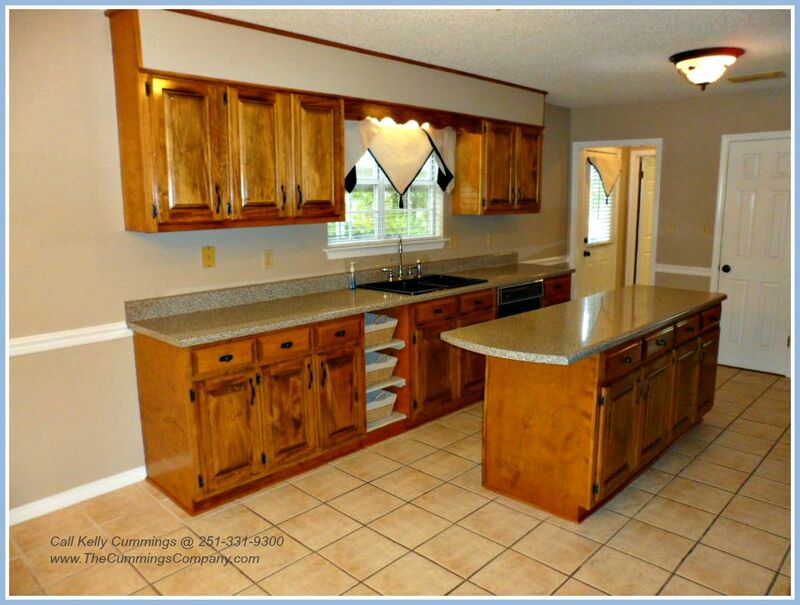 This property is currently listed for the price of $171,500. 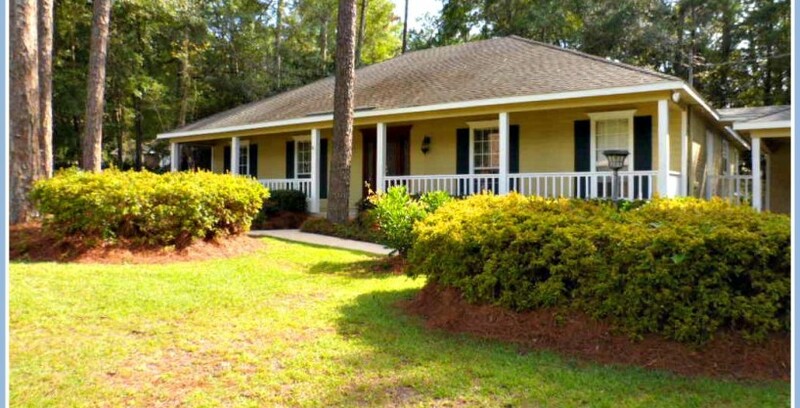 Without a doubt, this is a great home at an unbelievable price. Don’t waste time. 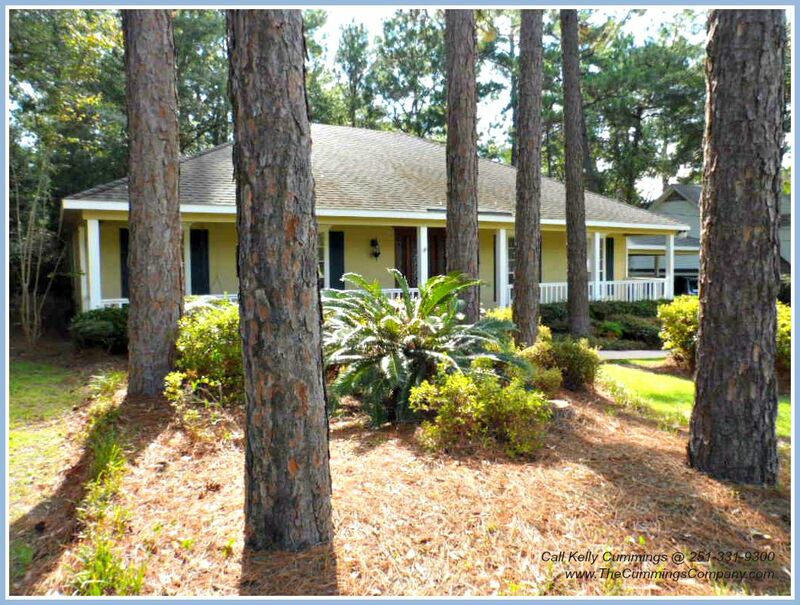 See for yourself what this Daphne AL home for sale has to offer! 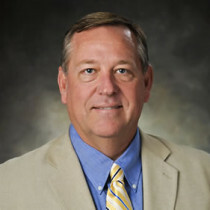 Lake Forest in Daphne Alabama is the largest residential neighborhood in the entire state with approximately 3,000 homes and another 800 lots still available for building. Lake Forest residents can enjoy amenities such as golf, swimming pools, playgrounds, and tennis courts. And for all you horse lovers out their Lake Forest offers residents the opportunity to board their horse right inside the community. 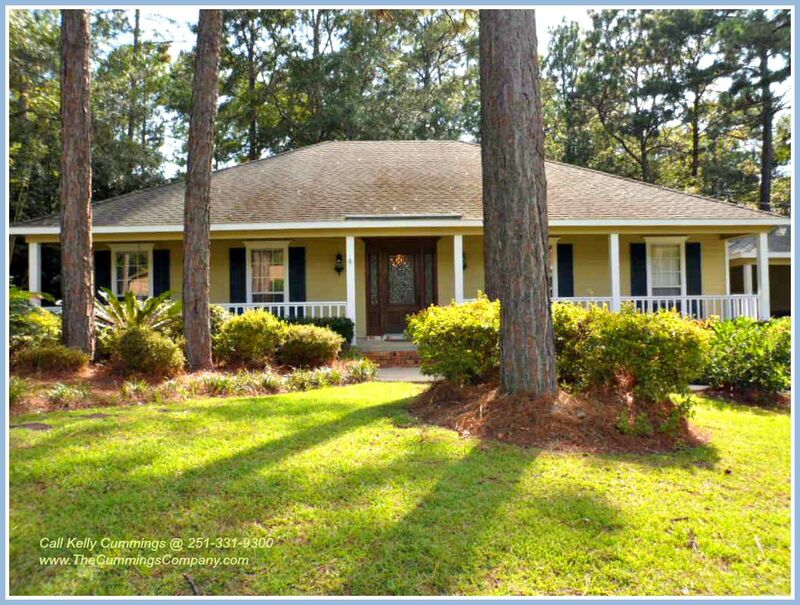 Call Kelly Cummings at 251-331-9300 to schedule a viewing for 517 Ridgewood Dr today!